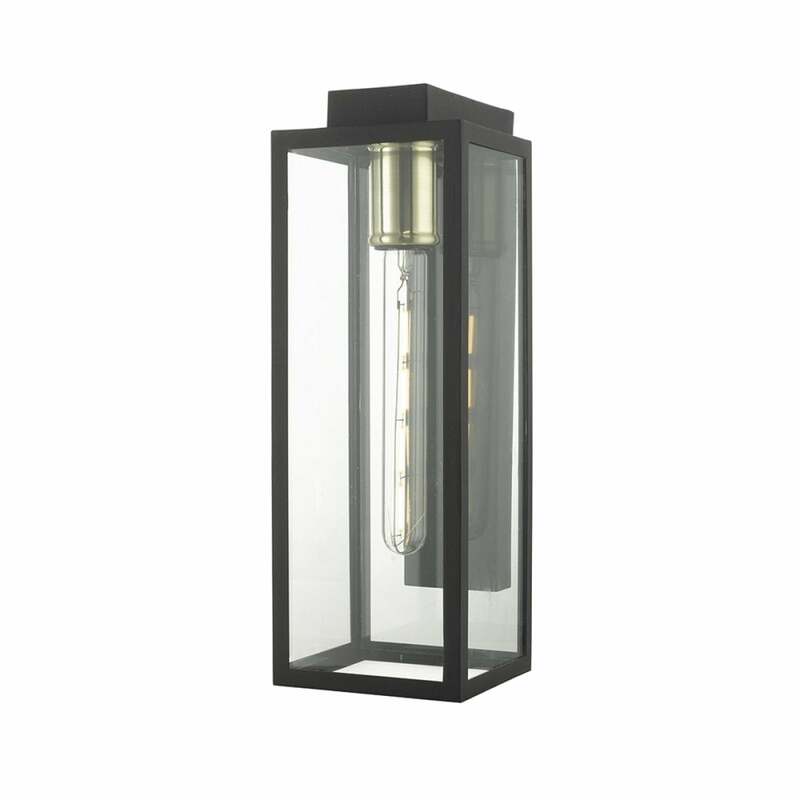 Dar Naxos single light outdoor wall fitting in black finish with clear glass panels. This modern box lantern comes complete with interchangeable lamp holder covers. You can choose between copper, polished chrome or satin brass to create your individual look. This product code is NAX1522.